PZSE embraces offering a wide menu of services such as structural design, consultation, seismic upgrades and feasibility studies to meet the varied structural requirements of commercial environments. When planning viable design solutions, we consider budget, health and safety, sustainability, aesthetics and constructability to provide engineering results in which you can be confident. 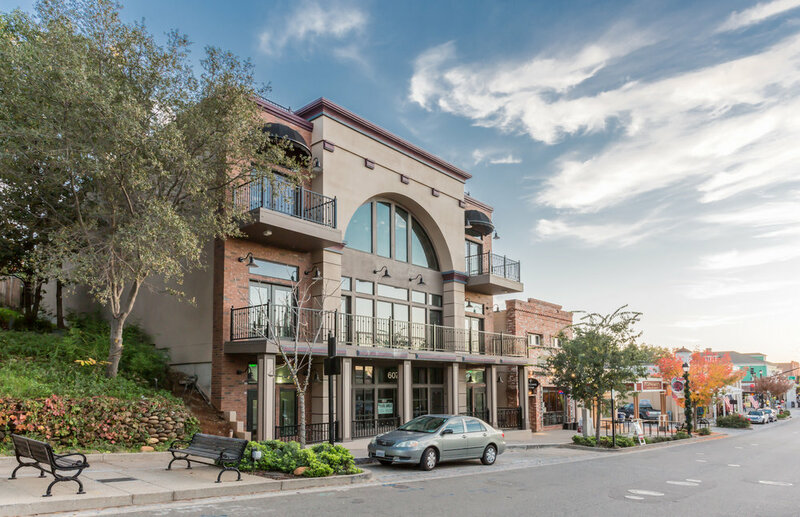 Three-level mixed use building featuring retail, office, custom lofts and rooftop decks featuring architecture befitting the Folsom Historic District. In addition to providing structural engineering services for the building, PZSE designed the retaining wall which reaches approximately 25 feet in height to allow for the building to fit on this hillside site. 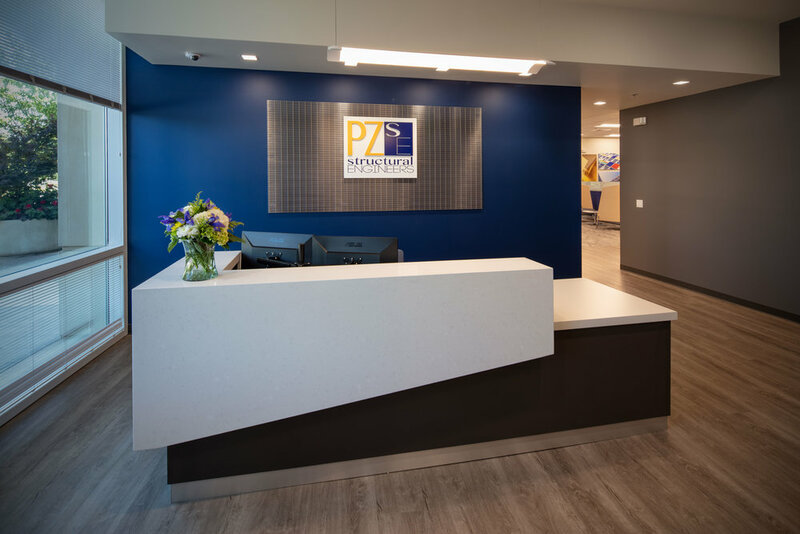 In early 2018, PZSE moved into their new office of approximately 10,000 square feet. 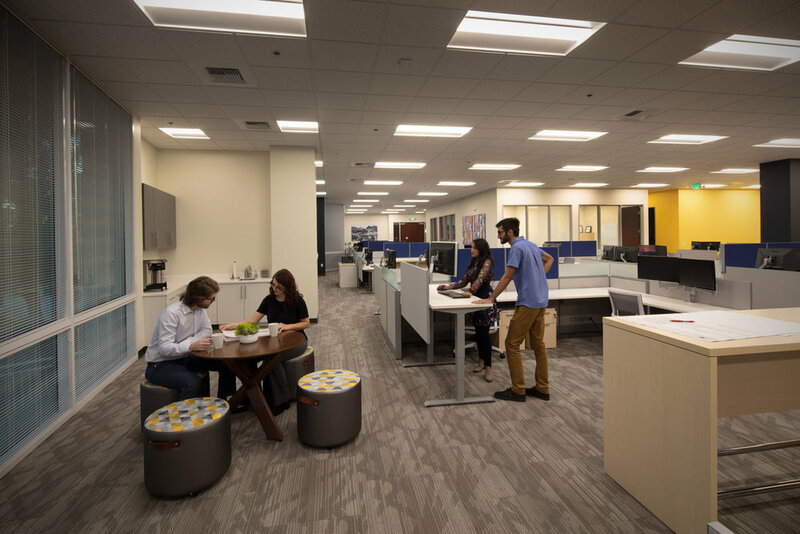 The space was designed to not only accommodate continued growth but also embrace and reflect the PZSE culture. 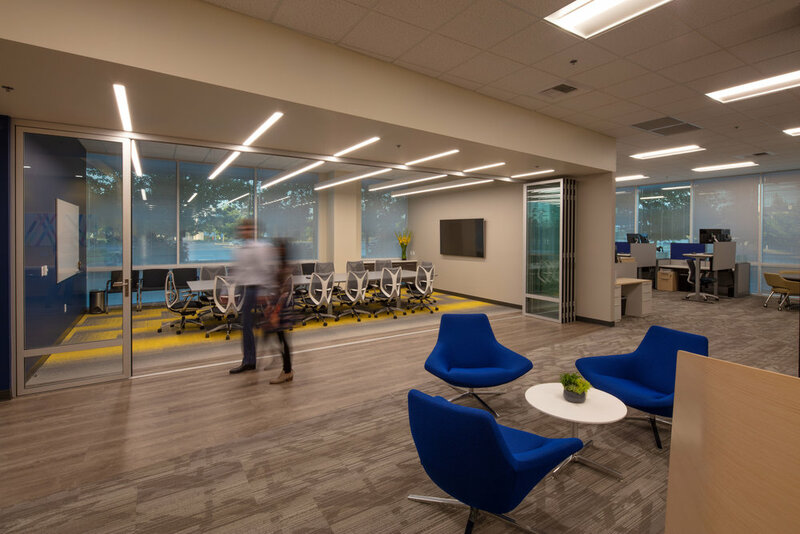 The high ceilings and light filled space provides an open and vibrate environment incorporating flexible features that inspire movement and community.